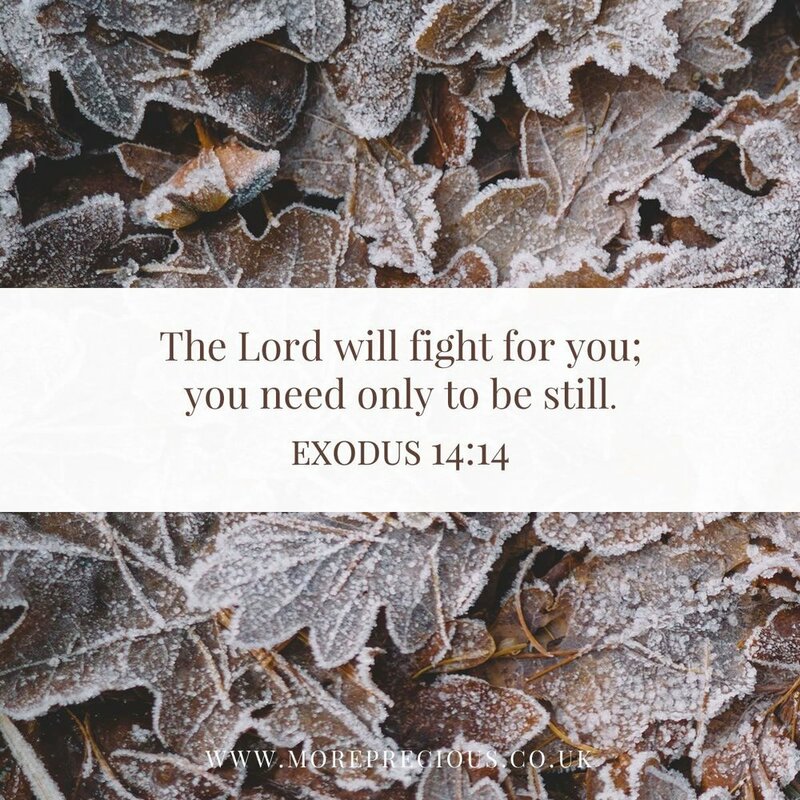 Today, Beatrice explores the incredible promise of Exodus 14:14, and reminds us of the eternal hope we have in our forever faithful Father. He assures them that they need not be afraid, and that the Lord will keep His promise of deliverance; that He is faithful. Indeed, God parts the sea and the Israelites go through on dry ground, saved from the hands of the Egyptians. This is just one of hundreds of accounts of God’s faithfulness in the Bible that we have readily available to spur us on daily. Yet often we are just as quick as the Israelites to fear, complain, and forget that God is totally faithful and totally in control. You might be coming to the end of a busy term at school or uni and stressing out about deadlines, you might have just sent off your UCAS form and be waiting for offers, or there might be circumstances that mean that this Christmas is a really tricky time for you and your family. The assurance that God is sovereign and would bring the Israelites to the Promised Land was such a gift for them. It was a promise that remained true even when they weren’t fully trusting in it. Just as God kept His promise to the Israelites, He kept his promise that He would send Jesus into the world as the one who would save his people from their sins. And for those who have put their trust in Him, He has brought into a “living hope through the resurrection of Jesus Christ” (1 Peter 1:3). We are no longer slaves to sin, but rather we have been set free, restored to the relationship with our Heavenly Father that we were created for. One of the amazing privileges of this relationship is that we can entrust Him with every aspect of our lives as we seek to live to honour Him. He has fought for us by mercifully providing a way for us to be saved in Jesus. And He will fight for us, as we are fickle and don’t fully commit things to Him, as we are reminded in 1 John 1:9: “he is faithful and just and will forgive us our sins”. So this advent, as we remember the birth of the Saviour of the World, let’s take time to rejoice in the fact that because of Jesus, we can have an eternal hope. We can be still, and trust in the Lord. He was, and is, and will forever be faithful. A London girl at heart, I’m doing my final year of a French and Spanish degree in Bristol. I have recently spent a year living abroad, and had the privilege of meeting followers of Jesus from different cultures and nations, who speak a multitude of languages, and are passionate about living for Him. This was such an encouragement to me returning to uni, and also gave me a greater love for exploring new places and building friendships, but mainly for Parisian boulangeries.